Glendale Townhomes is an MPHA property in the Prospect Park neighborhood in Minneapolis. It consists of 184 townhomes designed for families, across 28 buildings on a 14.5-acre site. Aside from some duplexes and single family homes we own, it is the oldest property in the MPHA portfolio, built in 1952. 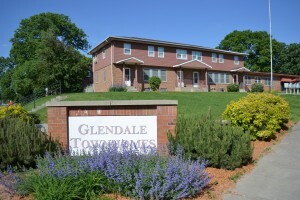 Glendale Townhomes has served as home and a welcoming community to thousands of low-income families and, in recent history, as a cultural corridor for Southeast Asian and East African refugee families who have immigrated to Minnesota. Unlike our highrise public housing, it is a community specifically made available to families. When Glendale Townhomes was built, its design and physical features were acceptable. Now almost 65 years later, Glendale poses important and challenging questions for MPHA and the community. Plumbing, heating, and electrical systems are obsolete and deteriorating; underground sewer lines are at risk of failure in the coming years. The design and construction of the homes create major challenges for energy efficiency. We also expect better layout and amenities for families today, including dining rooms, first-floor bathrooms, central air conditioning, and doorways wider than the current 32 inches. In addition, the units as they exist now create fundamental barriers to accessibility for the disabled. MPHA’s mission—to provide long-lasting, high-quality homes for as many low-income families as possible—compels us to adapt, to be innovative, and to look for long-term solutions. Our current Strategic Plan states that MPHA’s highest-priority strategic direction is “to preserve its viable housing portfolio so it remains a source for affordable, safe, and high quality housing for its residents.” Glendale is a precious resource. Because we value the family housing there so deeply, we must begin the conversation about how we can preserve it—and perhaps even seize a long-term opportunity to extend more housing to families from our long wait list. We can only address the once-in-a-generation questions we face with Glendale if we all engage with them together: state and city officials, residents, the neighborhood, and the MPHA. We know we cannot do this alone, and we welcome everyone to this vital and necessary discussion. Since the 1980s, the Department of Housing and Urban Development (HUD) has been underfunded. Because Congressional appropriations have been shrinking, HUD is not able to provide sufficient funds to housing authorities across the country to address needs in the nation’s aging public housing stock. Studies have shown that over $26 billion is needed nationwide for capital improvements to public housing properties–a number that grows each year. The lack of funding is a critical factor at Glendale Townhomes, where time has caught up with the oldest large property in our portfolio. Federal funding is not available at levels that will ensure systems integrity and viability for current and future residents. While we and other housing authorities persistently make the case for the needs across our properties, this funding from Congress is unlikely to increase. And although some state legislative proposals have included a large amount of funding for Glendale–and MPHA has supported these efforts–they have had little traction as a state-wide priority. HUD’s public housing operating subsidies–money not for major improvements, but for day-to-day maintenance activities–have also become less reliable over the years. This means MPHA not only lacks funds for capital improvements, we must work extremely hard every day to stretch limited operating funds across the many operating needs across our properties. We uphold a commitment to maintain all of our properties–including Glendale–in the best possible state for families, seniors, and others who make their homes with us. But we are mindful that achieving this will become more difficult over the years as Glendale–without bigger changes–continues to demand a larger share of these resources. At more than $15 million dollars (projected to nearly double in the next 20 years), addressing these needs is not possible under our current capital budget–which is around $10 million per year, across all of our properties. Without an unprecedented outside injection of funds from the state (which appears highly unlikely), like PHAs around the country we must consider the options available to us as a 21st-Century housing authority. The landscape for funding of public housing has changed fundamentally since the era when Glendale and our highrises were built. To save affordable housing for very-low income families at Glendale, we must think in terms of partnership: with the community, with residents, with the city and state, and with nonprofit and for-profit partners who share our vision and can bring resources to the table to make it happen. What this vision looks like is a wide-open question at this point. MPHA began an analysis of options in November 2015. We have made no decisions about any option at this point. MPHA’s commitment to ensure the viability of Glendale Townhomes as a family-oriented housing community that is safe, clean, and affordable for current residents. MPHA’s commitment to ensure the future viability of Glendale Townhomes so that 10, 15, 20, and 30 years from today, families who need safe, clean, and affordable housing will be able to find it there. Toward meeting these two commitments, MPHA is conducting a lengthy analysis and evaluation of its options. This is not a secret process. MPHA invites Glendale Townhome stakeholders (residents of Glendale Townhomes and Prospect Park, HUD officials, and state and city elected officials) to join in and participate in the development, analysis, and evaluation. Discussions about change down the road at Glendale have sparked a number of questions from residents and others in the community. Answer: Any change that might affect Glendale families would be years away. At present, nothing is scheduled and there is no timeline. The path to funding of any option is complex, involving many partners and viewpoints. No change would occur without many more community conversations. Question: Haven’t you already decided what you want to do? Answer: No. We have proposed some general ideas for discussion, held a visioning workshop with the community, commissioned one exploratory report (which can be found among our “Informational Documents” on Glendale), and have generally begun to explore what the possibilities might be. However, the MPHA Board has made no decision on Glendale and has not accepted or endorsed any recommendation for redesign or redevelopment. Question: What about the “Sherman Report”? Answer: The report, prepared at MPHA’s request in 2016 by Sherman Associates, includes just one set of ideas to contribute to the conversation about Glendale. The MPHA Board has not endorsed or adopted the report, nor any of the recommendations in it, nor are there plans to do so. Question: We have not heard anything from you in a while. What’s going on? Answer: Because this process is lengthy and deliberate, and we know the subject matter is sensitive and should not be rushed, there may be certain periods of inaction. We are always happy to provide updates; however, things may be quiet when we simply do not have anything new to report. Question: Will MPHA evict residents from Glendale Townhomes and put them out on the street? Is accountable to multiple stakeholders. As a HUD landlord, MPHA must adhere to HUD regulations regarding the fair treatment of residents. In accordance with those regulations and laws, residents who to meet qualifications to reside at Glendale Townhomes, a family-oriented housing project, and are lease-compliant cannot be evicted and put out on the street. Likewise, any family who needs to be relocated from Glendale because of rehabilitation or redevelopment, and who continues to meet qualifying criteria, will be allowed to move back. Qualifying criteria include such things as family income and family size. Question: If you do redevelop at some point, would residents have to leave during construction? Answer: Possibly. However, in that event MPHA understands that some residents might prefer to stay. We are committed to exploring “phased” construction scenarios in which families could remain at Glendale throughout any work, if they wished. Question: If residents are temporarily relocated, will their monthly rent increase? Answer: No. Monthly rent for public housing, as established by HUD, is generally 30 percent of a resident’s adjusted monthly income. This would not change unless HUD guidelines change. If any resident family is relocated, their monthly rent will remain at 30 percent of the monthly adjusted income. It does not matter if the resident is relocated to public housing or other available housing via a Section 8 voucher. Question: If residents are temporarily relocated, will they be able to return? Answer: Yes, in most cases. If, because of rehabilitation or redevelopment, Glendale Townhomes residents need to temporarily relocate, they will have an option to return to Glendale as long as they continue to meet the requirements for residing in a family-oriented, public housing community. Those requirements will not change because of any redevelopment or rehabilitation actions by MPHA. Question: Will MPHA help residents find replacement housing before beginning rehabilitation or redevelopment? Answer: Yes. If it is necessary to relocate Glendale Townhome residents because of rehabilitation or redevelopment, MPHA will assist in finding replacement housing for every family before rehabilitation or redevelopment begins on their unit. Question: Is MPHA intentionally cutting back on maintenance and repairs so that Glendale Townhomes will deteriorate to the point where it must be demolished? Answer: No. MPHA has never cut back or reduced its maintenance activities at Glendale Townhomes or any of its other properties. While it is necessary to consider permanent, sustainable enhancements for this aging property, we will continue every day to maximize the quality of life at Glendale within our capital and operational budgets. Question: Does MPHA have the resources or the ability to find replacement housing if residents temporarily relocate? The Section 8 waiting is already long, and many landlords are unwilling to accept vouchers. Answer: Yes–and in fact we must. United States Code 42 USC 4636 of the Uniform Relocation Assistance and Real Property Acquisition Act prohibits requiring a family to move from their dwelling unit because of any program or project undertaken by a Federal agency or with Federal financial assistance, unless the head of the displacing agency is satisfied that comparable replacement housing is available to such people. Section 8 relocation vouchers are one option that families may elect to use in securing affordable temporary housing if it is determined that because of rehabilitation or redevelopment activities, residents at Glendale Townhomes must be temporarily relocated. HUD also requires that if residents are relocated, families must receive relocation counseling and financial assistance. Each family would receive one-on-one counseling and assistance to help in finding suitable temporary housing during the rehabilitation or remodeling process. As mentioned, once rehabilitation or redevelopment is completed, relocated residents will be able to return to Glendale Townhomes. Question: Doesn’t MPHA receive federal money for capital improvements at Glendale Townhomes? What has happened to this money? Answer: HUD calculates the amount of money MPHA receives each year based on a complex formula that does not reflect actual capital needs at our specific properties. The formula is simply a method for HUD to divide up the total, national appropriation to each housing authority. Capital improvement funds received by MPHA for all of the properties in its portfolio go into one capital improvement fund, and the funds are prioritized among all the properties. The total amount of money set aside by Congress for capital improvements in public housing is perennially less than the need calculated by HUD. As such, the funding MPHA receives from HUD for capital improvements is never enough to address all the needs for all the properties. Because there are significant shortfalls in funding, MPHA must allocate its resources first each year to those properties with the most immediate life, safety, and building infrastructure needs. In recent years, for example, MPHA has used capital funding for major elevator rehabilitation and controls, crucial façade restorations, domestic piping and ventilation systems, fire suppression systems, and security cameras and surveillance equipment to protect residents’ safety. Despite MPHA’s investments, the regular under-funding means substantial capital needs still exist throughout the portfolio, including at Glendale. Question: Doesn’t MPHA just want to sell Glendale Townhomes to private developers so that it can have extra money in its bank account? Answer: Our goals are not related to privatization or profit. MPHA is a governmental organization that exists for one purpose: to provide long-lasting, high-quality homes for as many low-income families as possible. We do not make a profit; nor do we spend money for anything other than our mission to serve low-income people in Minneapolis in need of homes, today and in the future. In any scenario, the Glendale property will continue to include at least 184 units (the current number) of deeply subsidized housing for low-income families. The landscape for funding of public housing has changed fundamentally since the era when Glendale was built. Our mission compels us to adapt and to be innovative, and to consider working with nonprofit or for-profit partners, as well as the city and the state, to help us meet the critical need for affordable family housing. This process is not about generating profits for anyone; it is entirely about the critical need for affordable family housing in Minneapolis. Question: Isn’t this part of the desire for “gentrification,” driving low-income and immigrant families out of the neighborhood? Answer: No. In fact, this conversation is about preserving the availability of housing for low-income families at Glendale and in the Prospect Park neighborhood. Glendale is a precious resource. Because we value the family housing there so deeply, we must at least begin to think about how we can preserve it—and perhaps even seize a long-term opportunity to extend more housing to deserving families from our long wait list. Question: Can’t MPHA use Low-Income Housing Tax Credits (LIHTC) to capitalize improvements at Glendale Townhomes? Answer: MPHA, as a public sector agency, is not eligible to participate in LIHTC without the involvement of private sector entities wishing to develop housing projects, who can use these programs. Should such a potential partnership arise, MPHA views LIHTC solely as a vehicle to preserve our homes as long-term, deeply affordable housing, and to bring considerable improvements to benefit the residents. Question: Doesn’t the City of Minneapolis own Glendale Townhomes, while MPHA is only responsible for management and operations and maintenance? Answer: MPHA owns Glendale Townhomes, with HUD holding a “Declaration of Trust” on the property. MPHA is chartered to exist by the City of Minneapolis; we have been legally separate from the city since 1991. MPHA does not share ownership of Glendale with any other entity. As a responsible public agency, MPHA is obligated by our mission and by HUD regulations to analyze and evaluate all options, including rehabilitation and redevelopment. “Analysis and evaluation” begins with identifying possible options. At this time, no options for the future of Glendale Townhomes have been defined. Broadly, it seems likely that the options to be considered will include rehabilitation, redevelopment, and possible hybrids where rehabilitation and redevelopment are combined. Options will be developed with input MPHA has received from the stakeholders and key constituencies of Glendale Townhomes, including input that came from the VISIONING Workshop held in November 2015 at Luxton Park and communications received from neighborhood and resident groups. However, this process is still in the very early stages, while we continue to confer with the community, understand our options under federal HUD regulations, and gather insights from elected officials and potential partners. More community meetings and conversations are to come, and we will provide ample notice when these occur. If you wish to receive these notices, please sign up using the “Subscribe to Glendale Emails” button on the right-hand side of this page.